Best location in Sabal Bay. 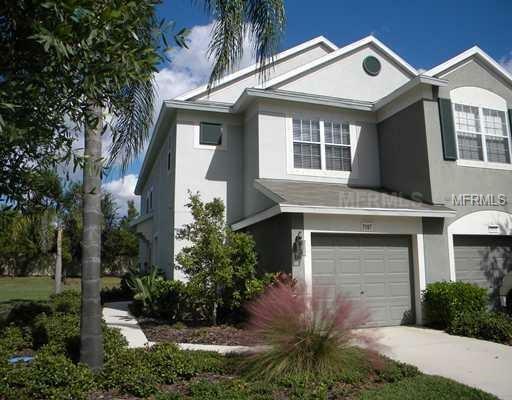 End unit 3 bedroom, 2.5 baths and 1 car garage townhouse. Great room plan with high ceilings, tile floors and lots of natural light. Entire home has just been painted a nice neutral color ready for you. The kitchen has granite countertops and wood cabinets all appliances have beed recently replaced plus eating space overlooking the grounds. There is a large great room and also a half bath and garage access on the main floor. The second floor offers vaulted ceilings, laundry, master suite has duel sinks and walk-in closet. You will also find two guest rooms and guest bath. Extra guest parking close by in this gated community is close to all UTC venues. Community offers heated pool and playground. Motivated seller.